Educational Robots. Sure, robots are amazing all on their own. But several designers have made it a mission to incorporate a most important feature in their machines. Aside from companion robots, pet robots, industrial robots and household robots, there are robots that teach. Now, these educational robots will not soon possess the sinister quality of Hal, the super-intelligent computer that took over the spaceship in “2001: A Space Odyssey,” but they sure are smarter than a lot of humans we know. In the 1980’s a robot aimed at the consumer and educational robots' market called Topo was designed by Androbot Inc, a Nolan Bushnell Company. Topo was programmable using either the Apple II operating system or a modified “Logo” programming language, which used an infrared programming transmitter attached to a personal computer. The programmable language allowed the robot to move around the room in a series of geometrical movements and perform tasks, such as “speaking” to humans. Another robot in the educational robots field that was also released in the 1980’s was the Heathkit Educational Robot, or HERO. Like most educational robots, HERO cannot and was not programmed to perform practical tasks. 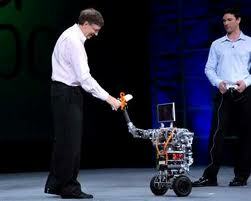 Such robots are designed primarily for entertainment and education purposes. 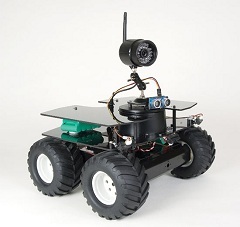 HERO 1 was a self-contained mobile robot that was controlled by an onboard computer using a Motorola CPU and 4 KB of RAM. 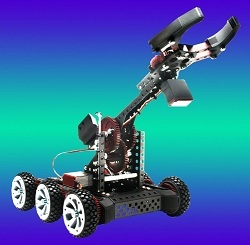 The educational bot featured light, sound, and motion detectors and a sonar ranging sensor. Educational robots feature learning platforms that are geared to teaching robotics to children, students and amateurs. These bots use the same general characteristics as industrial robots, but are much safer and less expensive to use. Educational robots normally come with a curriculum that guides students on the technicalities of robot programming, environmental interface (I.E. sensors, educational or industrial CNC machines, etc. ), and maintenance. Most also come with 3D simulation software, which enables the students to practice with a virtual robot and its environment. A more recent addition to the educational robotics is the Leaf AI Robot. Not a professional learning kit, but a home-brewed artificially intelligent robot. Leaf is open source and has an empty custom interface board that can be purchased for about $35 and costs about $150 for required parts. A leaf robot has voice input and output(TTS) and can sense its environment with a number of sensors. Leaf can be as simple as just a talking face on PC or as complex as a whole robot rolling or walking around. In schools, educational robots are used to help students grasp concepts in technology, engineering, math and science, using hands-on building sets, programming software, and activity materials that adhere to the curriculum. The LEGO company, for instance, collaborated with MIT Media Lab in 1986 to produce the first LEGO based educational products for use by elementary students and teachers. 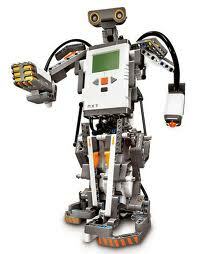 In 1998, LEGO® MINDSTORMS® for Schools (LMfS) and ROBOLAB™ were launched. Their programmable robotics kit is regularly updated for release, with features like advanced color sensors and other upgraded capabilities. Click HERE to learn more about Lego Mindstorms educational robots. These educational kits are normally powered by programmers like Microsoft Robotics, which has downloadable, Window-based environments like Developer Studio, which allows academic, hobbyist, and commercial developers to create robotics applications across a wide variety of hardware platforms. One particular feature is the Visual Simulation Environment, which provides developers the ability to simulate and test robotic applications using a 3D physics-based simulation tool, removing the need for hardware. The VEX Robotics Design System is also a robotic kit intended to introduce students to the world of robotics, and with it, open up users to deeper principles of science, math and engineering. The system is centered on the VEX Microcontroller, which contains the robot’s program and coordinates the flow of information and power on the robot. The Microcontroller also processes all signals received from both human operators and on-board sensor systems, allowing educators to customize projects to meet the level of students’ needs and abilities. Another robotics kit, the BASIC Stamp, allows students and beginners to build either of two robots controlled by a BASIC Stamp 2SX compatible module. Manuals and software are included to guide the builders through the PBASIC programming process, and in the end, students can create wheeled, free-range or remote-controlled robots. 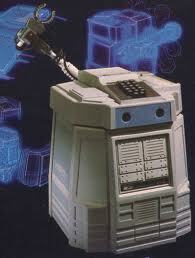 Also programmed using the PBASIC language is the BOE–Bot, short for Board of Education robot. Usually used in college and high school robotics classes, the BOE-Bot consists of a main circuit board, bread board, a plug–in micro-controller, two small servo motors to drive the wheels, and an aluminum chassis in which all parts connect into. For custom projects, students can use erector set parts, Lego blocks, and additional servos. The BOE-Bot may be programmed to perform a variety of tasks such as following lines, solving mazes, following lights, and communicating with another robot. Using the Microsoft Robotics Developer Studio software allows builders to control the robot's movements. The bot is known for being both adult and child-friendly. In fact, students as young as twelve could supposedly assemble it. Lastly, and my favorite lately is the Arduino micro-controller. The Arduino is one VERY robot friendly micro-controller. It seems to have been built with robots in mind. 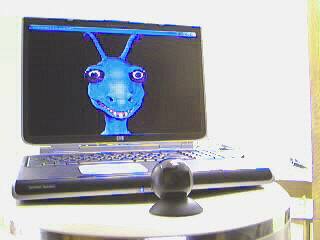 It is programmed with the C language and has a large number of robot-specific commands. It is expanded with add-on boards called "shields" which plug into the top of the Arduino thus looking quite shield-like. If you know C, you will be programming one of these in just a few minutes. If you don't know C, it might be an hour or so. One of the things that makes the Arduino so attractive is that it is relatively cheap. 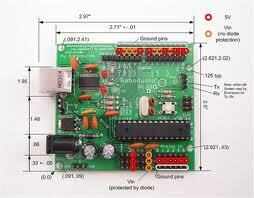 A basic Arduino board can be found online for about $40, which is about half of that of a Basic Stamp (BOE) board. Another attractive feature is that because of its popularity there are literally THOUSANDS of open source (read "FREE") programs that can be used as-is or with a little tweaking. Commercially there have been hundreds of shields released for sale that allow one to many, many things including driving high torque motors, speech recognition, and communicate via Ethernet. 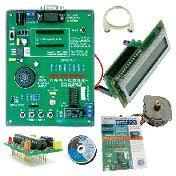 There are also scores of robot learning kits based on the Arduino, including a kit called the "Roboduino." With all the educational robots coming out today, it’s been proven that robotics is a very powerful platform that can attract and keep the attention of today’s multi-tasking, competitive and fast-paced youths. Everywhere around the world, robotics competitions are being held as more and more young roboticists learn to build and improve their very own moving machines. Not only do these students learn applied physics, mathematics, computer programming, digital prototyping and design in the process, they are also trained in the aspects of problem solving, teamwork, and leadership, all in all an education very difficult to get in a classroom lecture.